A Electric Deck Oven can save as much as 35% or more of the fuel costs of a rotary rack oven & gas oven of the same capacity. Single Phase Electric Deck Oven also can be opperated by a small generator. Our Electric Deck Ovens Electronic parts make of repoteted company (i.e. L&T, BCH & ABB). 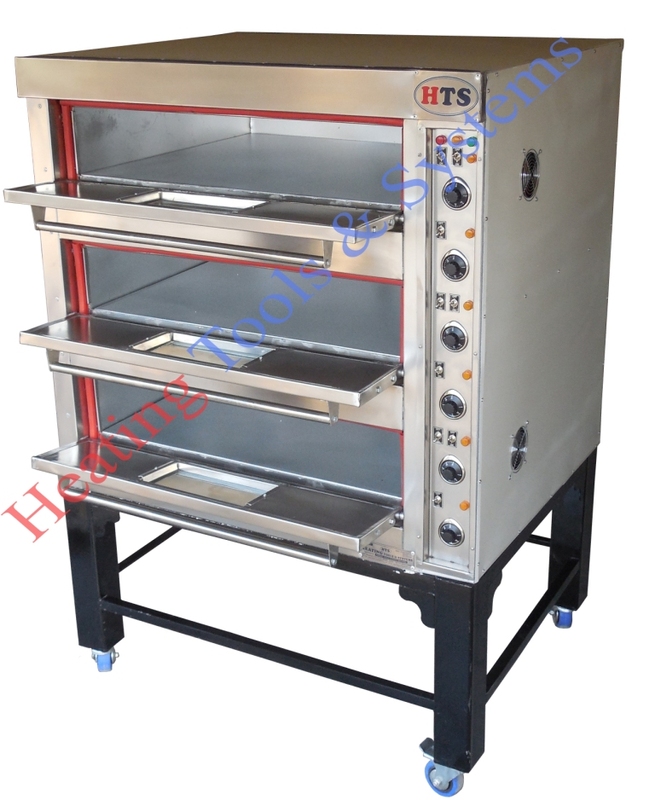 HTS Electric Deck Ovens heating elements are sweden make "KANTHAL" that give oven long life without any maintenance. A Electric deck oven takes less space than a comparable Rotary Rack oven. Electric Deck oven available in 1, 2 or 3 decks to produce large prodution. Copyright 2010 HEATING TOOLS & SYSTEMS. All rights reserved.